We have a Czar. An Ebola Czar, that is. Now that we've taken care of the leadership problem, we can return to the path of rational thought and expectation. Let's begin with a question: Why is there no vaccine for the Ebolavirus? In short, it wasn't profitable. The first known cases of Ebola came to the attention of world health officials in 1976. 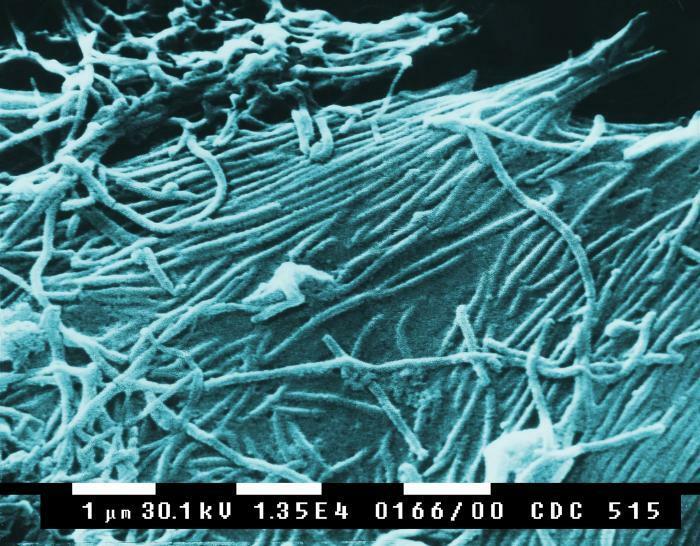 An outbreak in the Democratic Republic of Congo infected 318 people and killed 280. That's a fatality rate of 88 percent for those of you doing the math at home. What should have been clear to health officials at that time was that this was a dangerous virus with the potential to ravage large populations if unchecked. But in 1976, Ebola affected only one war torn nation in Central Africa and posed no great threat to any major industry or institution. Between 1976 and 2012 there were 2,387 cases of Ebola infections with a 66 percent fatality rate, according to World Health Organization (WHO) data. With the exception of one fatal case in South Africa in 1996, every case occurred in African countries that most of the world had forgotten or hoped to forget. Moreover, these countries have poor health facilities and limited access to the kind of drugs and equipment that make the virus more manageable. Therefore, the outbreaks were easily rationalized as acute episodes in troubled lands. The official plan of the WHO is "to prevent Ebola outbreaks by maintaining surveillance for Ebola virus disease and supporting at-risk countries to develope preparedness plans." There's never been a plan to create a vaccine because the virus rarely migrated across political borders and it never struck diverse populations. Until now. The current Ebola outbreak has infected and killed more people than all of the previous known cases combined. When the first Ebola case of the current episode was identified in March 2014, Big Pharma could have started work on a vaccine. But it didn't. Dr. Ripley Ballou, head of Ebola vaccine research at GlaxoSmithKline (GSK), one of the worlds largest pharmaceutical manufacturers, told the BBC that GSK and the WHO discussed a vaccine in March but decided it wasn't necessary. Now they're backtracking and attempting to fast track a vaccine to deliver to health workers in West Africa by the end of 2015, despite the fact that the average development of a vaccine takes seven to ten years. The WHO estimates that there could be as many as 10,000 new cases of Ebola per week if the virus is not soon contained. In the meantime, it's likely that approved treatments for other medical issues will continue to be used to treat the symptomatic effects of Ebola. Therefore, the cash will keep on coming. A vaccine will remain on the horizon. U.S. public health director Thomas Frieden recently likened the current Ebola crisis to the global AIDS epidemic. Let's hope that's an irrational analogy since it's been more than forty years since scientists started studying that disease and we're still without a cure, although for thousands of dollars in prescriptions one can "live a normal life." The same could be said for cancer. Yet here we remain, debating the extent to which Ebola poses a threat outside of West Africa - which seems to be the barometer for the pace with which the world will act to save Liberians and their West African neighbors. But the fact remains that the money for Big Pharma lay in treatments, not eradications. There's not enough money in vaccines. The best we can hope for from the U.S. public perspective in the short term is for the politically appointed Ebola Czar, Ron Klain, to keep the legislature in check and make sure that the political capital associated with the fear of Ebola doesn't get mired in the bureaucracy of backroom deals with Big Pharma or spent of issues wholly unrelated to the task at hand. That's a scenario for which there is no medical solution.